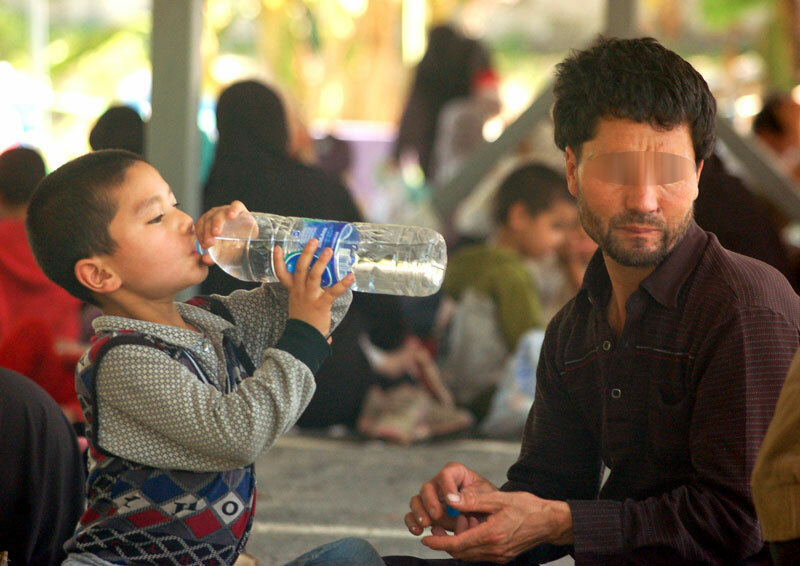 The Uyghur American Association (UAA) is concerned about the fate of more than 200 Uyghur refugees currently detained in Hat Yai, southern Thailand. UAA calls on the Thai government to ensure the safety of the refugees by not returning them to China and by allowing the group access to UNHCR officials in order to process asylum claims. UAA also urges the United States and European Union to closely monitor the situation to ensure transparency in the group’s cases and to adhere to the principle of non-refoulement. UAA seeks the involvement of high-level UNHCR officials in the Thai Uyghurs’ case and the immediate relocation to safe third countries. According to a March 13 Radio Free Asia report “more than 200 Uyghurs” were detained after a March 12 raid on a camp in Songkhla province in southern Thailand. A Reuters report dated March 14 described the camp as linked to “human smuggling.” A report in the Thai publication, The Nation dated March 14 detailed how Thai officials had been unable to ascertain the ethnicity of the group. However, a Malaysia-based relative of one of the over 200 Uyghurs confirmed the ethnicity of the group to Radio Free Asia reporters. In addition to the detention of over 200 Uyghurs at the camp, Reuters also described the arrest of 62 individuals by Malaysian security forces for illegally crossing the Thai-Malay border. According to a March 13 report by Singapore-based New Strait Times the 62 people, including 24 children, also described themselves as Turkish nationals. UAA asks the Malay authorities to swiftly confirm the identity of the group in order to determine if it is comprised of Uyghurs, whether they wish to make asylum claims and to not deport any Uyghurs as it has in previous instances. Uyghurs have been deported from Southeast Asian nations susceptible to Chinese economic and diplomatic pressure in the past. Six Uyghurs were forcibly removed from Malaysia in December 2013; 11 Uyghurs from Malaysia in August 2011; one Uyghur from Thailand in August 2011; seven from Laos in March 2010; 17 from Burma in January 2010; 20 Uyghurs from Cambodia in December 2009 (one of whom had a Cambodian visa); and two from Vietnam on an unknown date. According to a January 26, 2012 report from Radio Free Asia, two Uyghurs deported from Cambodia to China, Nurahmet Kudret and Islam Urayim, were handed life sentences after closed trials. It is unclear when the two men were sentenced, or what charges they were convicted of. Islam Urayim reportedly witnessed security forces killing and beating Uyghur demonstrators on July 5, 2009 in Urumchi. A third Uyghur deported from Cambodia, Musa Muhammad received a 17-year jail term, also on unknown charges. The other seventeen deportees remain unaccounted for. A Radio Free Asia report published on December 20, 2012, described how one of the Uyghurs deported from Malaysia in August 2011 was imprisoned for three years on “separatism” charges following a closed trial. According to the report other Uyghurs deported at the same time had been jailed for up to 15 years; however, Radio Free Asia could not confirm the sentences. The increase in Uyghurs seeking refuge through Southeast Asia is likely due to the willingness of governments in Central and South Asia to send Uyghurs back to China under Chinese government pressure. Reports of such returns come from Kyrgyzstan (see also: Central Asia: Kyrgyz Rights Activists Call For End To Deportation Of Uyghurs To China), Pakistan in 2007, 2009 and 2011, Uzbekistan, Kazakhstan, Tajikistan and Nepal. Ismail Semed, returned from Pakistan in 2007, and Shirali, returned from Nepal in 2003, were both executed after their deportations to China.